NVIDIA Turf Effects empowers users to simulate and render massive grass simulations with physical interaction. Our grass technology provides a fully geometrical representation. Grass blades can be represented with a resolution as low as 3 triangles to several 100 triangles per blade using continuous level of detail. 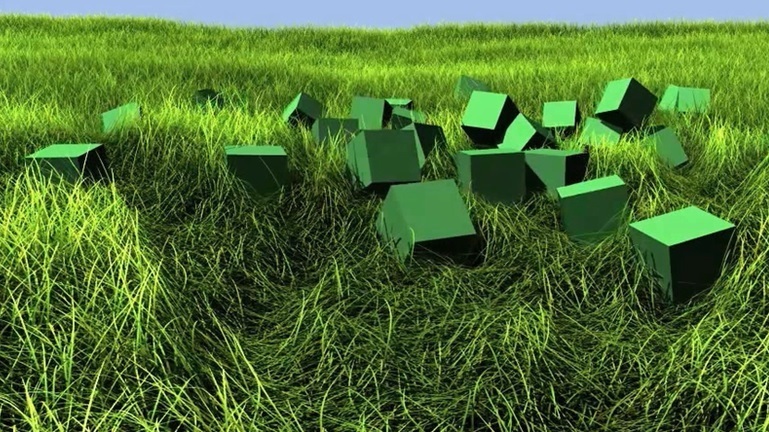 The rendering supports natural shading with correct shadows from the individual blades of grass as well as self-shadows, two sided lighting and correct occlusion for scene geometry. In addition the simulation supports interaction with highly complex shapes, which permits totally new kinds of gameplay. NVIDIA Turf Effects overview video. Note: Due to the high level of detail the video needs to be played back in 1080p resolution. For even better video quality you can download the video from here.